Adding Your Own Music, Movies, and Documents to your kindle fire isn’t complicated really but it needs to be done the right way to ensure the best possible results from your tablet. Most of the techniques require a mini USB cable and a laptop or desktop computer. You will plug the kindle fire into the laptop and drag the files to the kindle fire window which should open up when your device has connected to your computer. 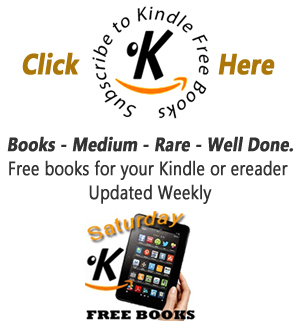 It is worth getting familiar with the file system on the kindle but you can find apps to help with this on the web. To put .pdf, .txt, and .prc documents on your Kindle Fire, simply connect the device to a PC and launch the Kindle Fire folder on your computers desktop. Next go to the Docs folder inside, and drag & drop the files to this folder. When you next open the Docs app net time, they should be shown here. Video may have to be converted to a suitable format that the kindle fire can read. The Kindle Fire uses MPEG – 4. After you've converted your video files to mpeg 4, drag and drop the files from your computer to your Kindle Fire's Video folder. For the best results with this convert the video files to MPEG 4 at a 624 x 252 frame width at 24 frames a second. Just drag and drop the music to the Kindle fire music folder when your PC is connected to your kindle. Next time you open up your kindle fire music app the new tracks will be there. Amazon are giving away 5GB of storage space with the Amazon Cloud Player, this is a great way to upload a large music collection. 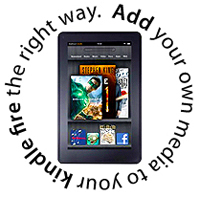 It allows streaming play back for your Kindle Fire without using any of the kindle devices physical storage. Music purchased via Amazon MP3 store don't count toward the 5GB limit, and if you should use it all you buy more space for your Amazon cloud space. The Kindle Fire HD Guidebook examines the device's basic functions, new and exciting features, and special tips & tricks for making the most of your device. Step by step instructions on how to do things that you won’t find anywhere else.